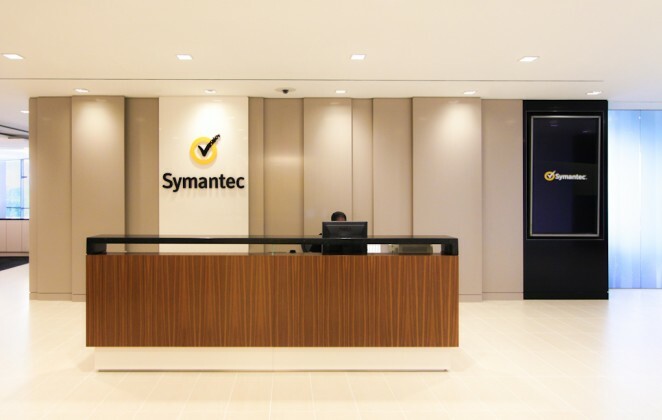 K2 was tasked with the design of audio and video systems, as well as technical lighting for the Symantec office consolidation project in Herndon, Virginia. The project involved outfitting the building’s sixth floor, which includes Symantec’s Security Operations Center (SOC), as well as several customer conference rooms. The new AV systems serve the requirements of day-to-day technical operations, as well as provide an impressive experience for on-site customer sales. Three conference rooms include full AV presentation systems with videoconferencing functionality and sound reinforcement capability, as well as a wireless control system for AV, lighting, and window shade adjustments. The SOC is equipped with multiple video displays clustered in video banners throughout the space, and a distributed sound system to provide news and software monitoring from any location. Lighting and window shade controls automatically make the necessary adjustments throughout the day to provide adequate working light levels, while maintaining the architectural integrity of the space. A large-scale video wall was installed for use in an interactive demo room that provides highly customizable presentations and an intimate, yet impressive experience to customers visiting the space. Finally, the main reception area contains a digital signage system personalized to Symantec’s corporate image and messaging needs.